Using photography, video, slide shows, and audio, New Channel Media leans heavily on sequential story-telling through pictures and words. 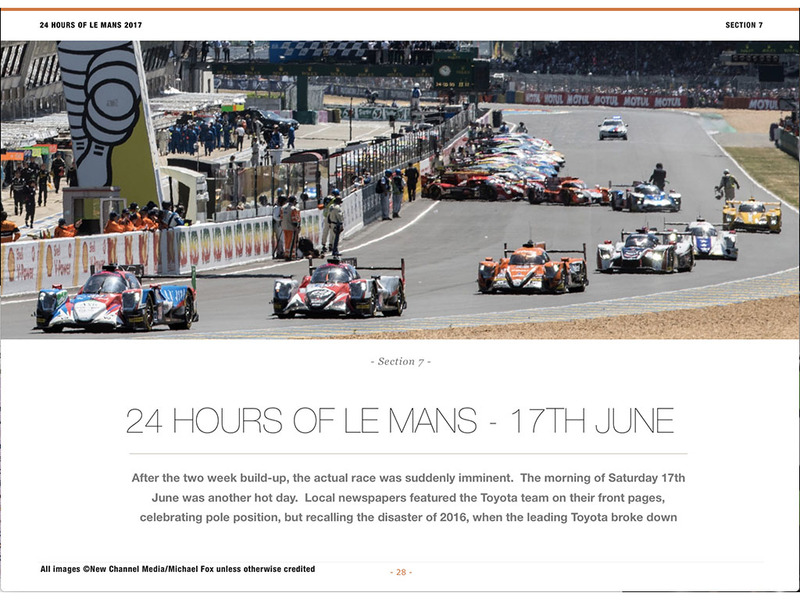 “This empowers readers to experience one of the biggest motor racing events on the calendar, in an unstructured way, moving backwards, forwards, even sideways in the timeline of the event, at their heart’s content,” says Michael. 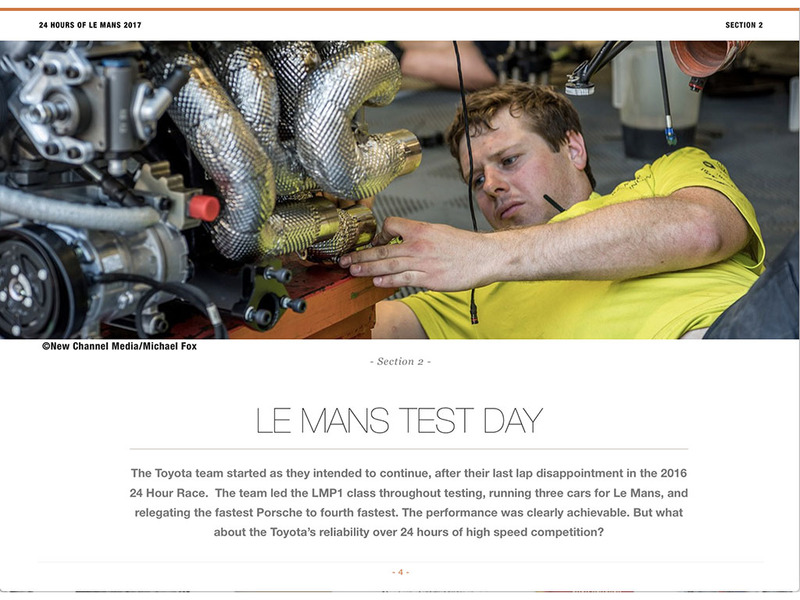 The digital format allows for the delivery of much larger amounts of information, links to team and driver web sites, social media accounts, and official results pages. “There is so much we could build in to a book such as this. We needed to find a balance between readers engaging with content, and constantly clicking or tapping on links to external information,” added Michael. Available as an Apple iBook, as well as for Windows computers, and the Android platform, the book has seen a quickly rising level of interest and downloads. “We are already planning the 2018 Le Mans book, which we are scheduling for an earlier release, after the race in June 2018. Other publications are in the works, focused on race series, individual teams and drivers, and a manufacturer,” said Peter West, Head of Media Relations at New Channel Media. The book is on sale for £4.95 and can be downloaded immediately. New Channel Media is a digital content creation and publishing company, specializing in motor sport promotion and communications. 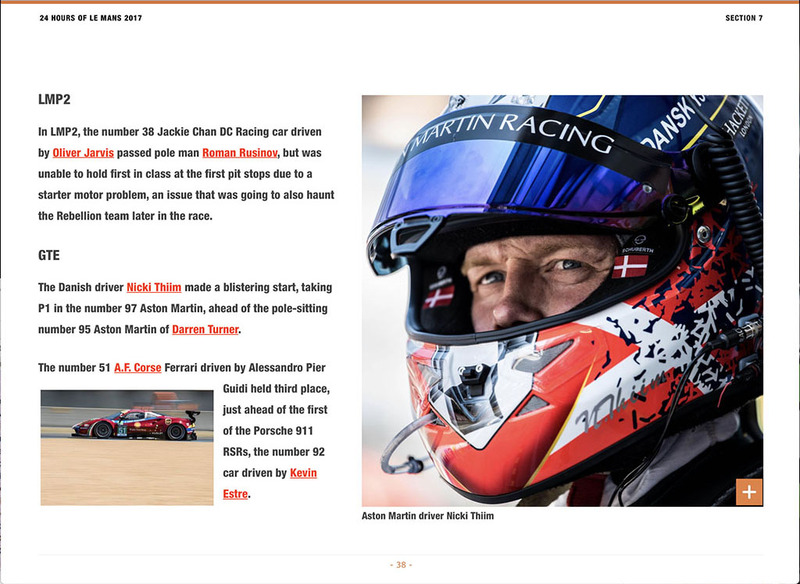 The company creates its own digital books for selling via commercial channels, and also produces custom publications for drivers, teams, sponsors, race organisers, and companies working in the motor sport industry. With an office location at the Silverstone Circuit in the United Kingdom, New Channel Media is well located to respond quickly to the often urgent needs associated with motor sport communications and fan engagement. For more information, please call Michael Fox at +44(0)203 332 2033 (office) or +44(0)7557 384644 (mobile). You can also reach us via email: info@newchannelmedia.com which we check constantly.